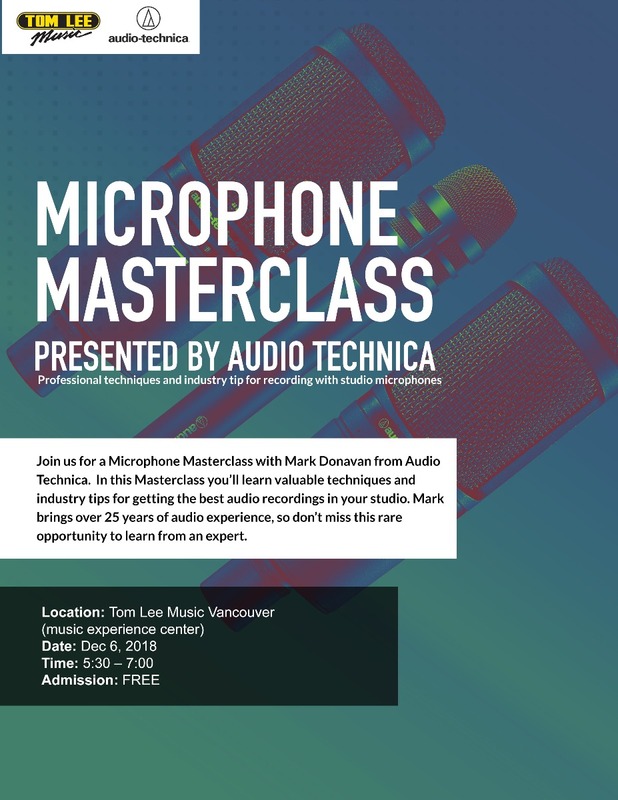 We are excited to present the Microphone Masterclass with Mark Donavan from Audio Technica. In this Masterclass you’ll learn valuable techniques and industry tips for getting the best audio recordings in your studio. Mark brings over 25 years of audio experience to this workshop so don’t miss this rare opportunity to learn from an expert.